Mormon poetry has always been invested in history. The earliest Mormon poems, for example, argued for Mormonism’s place in the grand narrative of Israel. Later poems, fashioned in less apocalyptic times, sought meaning in Mormonism’s nineteenth-century struggle against the land, the world, and its own idealistic ambitions. tonight to the sovereign’s table. Like The Five Books of Jesus, Goldberg’s fictional retelling of the Gospels, this introductory poem asks readers to set aside what they know about the Kingdom of God and indulge in an exercise in devotional imagination. We are to set aside what we think we know for a chance to see the familiar with fresh eyes. 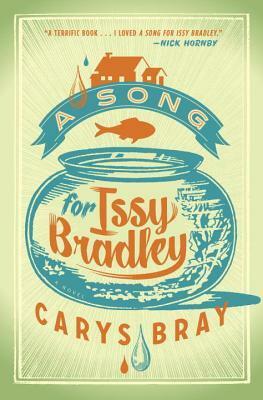 A surprising number of Mormon novels came out in 2014, but none of them seemed to receive as much attention as Carys Bray’s A Song for Issy Bradley. Admittedly, when I first learned about the novel, I yawned. Jenn Ashworth’s The Friday Gospels had just given us a novel about a dysfunctional Mormon family in the United Kingdom, so nothing about Issy Bradley seemed all that original. For this reason, perhaps, I took my time getting to the novel—a delay I now regret. While A Song for Issy Bradley is not the One Mighty and Strong Novel avid #MormonLit watchers are waiting for, it is an impressive addition to a growing list of well-written and finely-crafted twenty-first century Mormon novels. A Song for Issy Bradley takes place within a small Mormon community in Southport, a coastal town in the United Kingdom. Its main characters, the Bradleys, are a typical LDS family with too many obligations and hardly any time to fulfill them. When the novel opens, their home is on the brink of bedlam. It is seven-year-old Jacob’s birthday, and his friends from school are coming over for a party. Ian, the family patriarch and ward bishop, is on his way out the door to tend to a chronically-needy ward member. This makes the morning more stressful for Claire, his wife, who feels the burden of her husband’s calling and struggles to meet cultural pressures that ask her “to make a willing sacrifice” of his presence (28). Ian, after all, is the kind of bishop who can’t refuse a petitioner. Although he has difficulty discerning the Spirit in his work, he tries to do everything by the book—literally, the Handbook of Instructions—and be there for people as “Jesus would do if he were here” (44). Unfortunately, that often means not being there for his own family, which frustrates Claire, a convert, who tends to be less rigid in her Mormon practice and belief. Rounding out the Bradley family are their four children—Zippy, Alma, Jacob, and Issy—each named for characters in scripture. [i] Zippy, a teenager, is adrift in a sea of kitschy chastity object lessons and tactless admonitions to dress modestly. Alma, a deacon, is a rebel who would rather play soccer than pass the sacrament. Jacob, the seven-year-old, is a firm believer in the mystical world of the primary manual. And Issy, the youngest daughter, is the object of everyone’s love. She is the glue the holds them together. Now that 2014 is over, it’s time to look back on my year of reading. I read twenty-six books last year–a number so small it’s almost embarrassing to admit. In my defense, though, I did revise a dissertation and produce a year-long webcomic. So, it’s not like I’ve been slacking. In years past, I’ve listed my favorite non-fiction, my favorite fiction, and my least-favorite reads of the year. This year, I’m just going to provide a general list of five favorites–with #1 being my favorite read of the year. 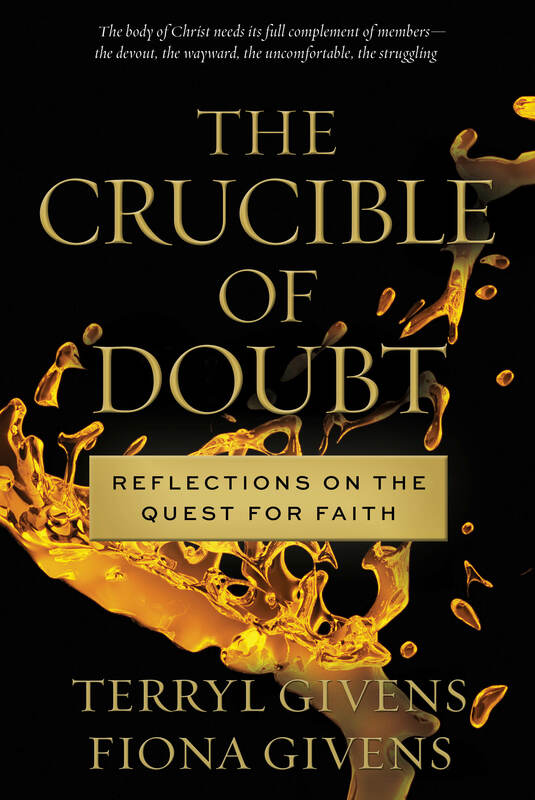 Recently, the cover of Terryl and Fiona Givens’ The Crucible of Doubt: Reflections on the Quest for Faith has been splashed across seemingly every major Mormon blog as reviewers have praised its frankness and lack of “theological Twinkies.” I myself preordered a copy of the book shortly before its release—and subtly endorsed it—based solely on the high praise of many early reviews; my admiration for the authors’ previous book, The God Who Weeps; and my respect for Givens themselves, who have become vocal champions of what we might call the “New Faithful” of Mormonism. 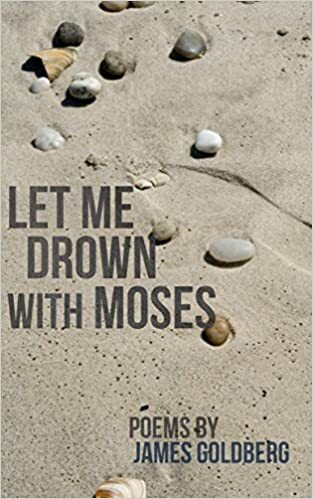 Since The God Who Weeps, that is, the Givens have come to represent an alternative approach to faithful Mormon practice that seeks to change certain culturally-inscribed attitudes and practices by modifying the tone and focus of the dominant discourse of contemporary Mormonism. (To get a sense of what I mean, I recommend listening to interviews with the Givens on Mormon Stories and other podcasts. Or read their books.) Buying the book, and encouraging others to read it, seemed like a safe bet a month ago. And now that I’ve read the book, I can say, with great relief, that it was. The Crucible of Doubt is a beautiful book, and you should read it as soon as possible. If you do, you’ll soon discover that the Givens are revolutionaries, but not in any radical sense. As you would expect from authors published through Deseret Book, their tone towards the institutional church is always positive and affirming. This accounts probably for their popularity with readers, including me, who are easily wearied by disillusioned critics of the institution; yet, I think it also strikes a chord with readers for the honest, earnest way it offers hope to those who struggle with faith, who recognize within themselves an encroaching disillusionment. If The God Who Weeps is a book for believing Mormons seeking cultural-intellectual affirmation for their beliefs, as well as a slightly bigger tent, then The Crucible of Doubt is for Mormons who are beginning to wonder, in an era of MormonThink “objectivity,” if there is anything in the Church worth affirming. Like The God Who Weeps, therefore, it makes a case for Mormonism and faith drawing upon the great minds of the Western tradition, particularly the Romantics Terryl Givens so admires. Yet, the book is more ostensibly Mormon than its predecessor, particularly in the way it draws unabashedly from latter-day scripture and General Authorities. For me, this subtle change in approach is a necessary shift, considering their topic, because it reiterates the value of Mormonism’s intellectual tradition and heritage, which critical voices often disparage as thin and platitudinous.